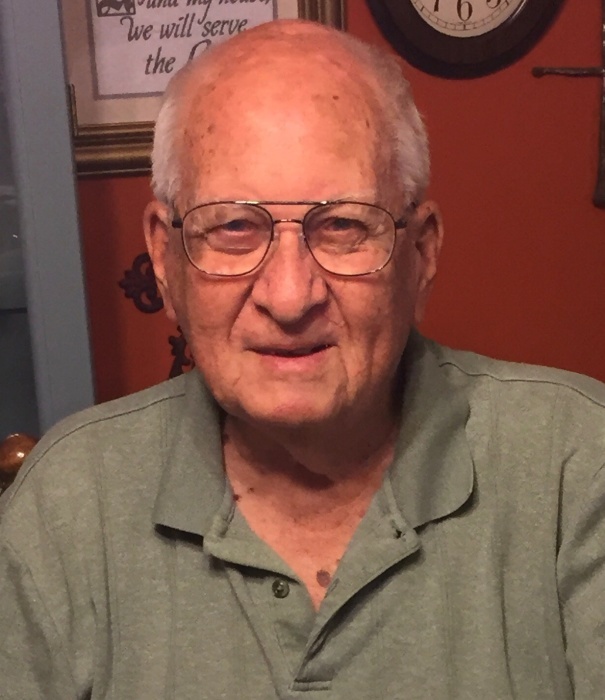 Tupelo – Mr. Dale Bradley Massey, age 90, died Monday, April 15, 2019 at North Mississippi Medical Center Hospice Unit. He was born June 10, 1928 in Marietta, MS to the union of Edgar W. Massey and Bessie Z. Holley Massey. He graduated Booneville High School and continued his education with an Associate Degree earned at Northeast MS Junior College. He was a patriotic American serving in the U.S. Navy aboard the USS Rodman during the WWII era. He married Pauline J. Morris in 1953 and they moved to Tupelo from Huntsville, AL in the early 80’s. He spent his working career in the personal finance industry. At his retirement, he had spent many years as Vice President of Personal Finance Companies, a subsidiary of Bancorp South. He was a longtime member of Verona Christian Church and later Oak Ridge Christian Church. Mr. Massey’s hobbies included reading and traveling the United States. He will be sorely missed by a grateful family and host of friends. A celebration of life service with military honors will be at 2 PM, today, Wednesday, April 17, 2019 in the Tupelo Chapel of Holland Funeral Directors with Bro. James Marks, Bro. Archie Taflinger, and Bro. James “Jim” Adkins officiating. Private burial will follow at Lee Memorial Park. Visitation will be today from 12 noon-service time. Survivors include his wife of almost 66 years, Pauline Morris Massey of Tupelo; two daughters, Donna Massey (Bobby) of Newnan, GA and Deborah Massey Washington (Bert) of Tupelo; brother, Larry W. Massey of Houston, TX; brother in law, Earl Bishop of St. Louis, MO; 4 grandchildren, Erin M. Eppstaedt (Chris), Cody Massey, Bailey Martin, and Kyle Washington; several nieces and nephews, and a great-grandchild on the way. He was preceded in death by his parents and two siblings, Bonita Bishop and Delores Parrish. Memorials may be sent to Oak Ridge Christian Church, 1324 Fletcher Street, Tupelo, MS 38804. Condolences to the family may be posted at hollandfuneraldirectors.com. The service may be viewed at 2 PM today and for 60 days thereafter at hollandfuneraldirectors.com/livestreaming.